What is official and what is moral and acceptable don’t automatically line up. 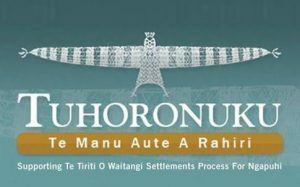 For instance, Tuhoronuku is the organisation with the “mandate” to negotiate the Ngapuhi Treaty settlement with the Crown. But, as Waihoroi Shortland argues, too few Ngapuhi hapu see Tuhoronuku as having the right to speak on their behalf. 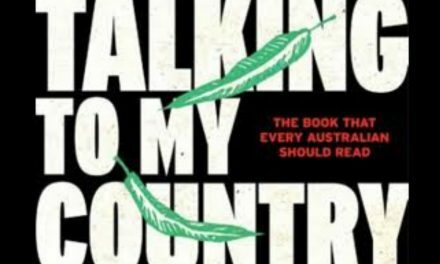 The Minister of Treaty Settlements, Chris Finlayson, likes to give the impression that everything is going along according to his wise plan – and that, although there may be some dissenting voices, everything is under control. The minister’s message is that we are on schedule and soon everyone will be able to marvel at the way he and his Government colleagues have dealt with the Treaty grievances, and have brought peace and harmony and justice to this confusing Ngapuhi scene. In the north we don’t see it that way. 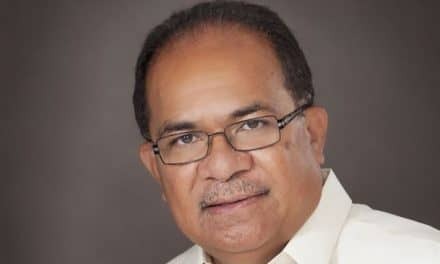 What many of us do see is that the Government spent three million dollars securing a mandate for a group, Tuhoronuku, which is backed by fewer than 6000 of us 120,000 Ngapuhi. Some time back, Jim Bolger, a former prime minister, was sent in as a great white father to sort out the dissension among Ngapuhi. But his powers of persuasion weren’t up to the task. Then Tuku Morgan had a go. But he went back to the Waikato leaving behind the suggestion that the best way forward was to scrap the mandate and start all over again. Not a bad idea, but not one that has appealed to a Government whose grasp of tino rangatiratanga is at odds with the facts of history, including the commitments made at Waitangi 175 years ago. That kind of ignorance is what led to flagpoles being cut down in 1845. It also led to a town being sacked and to a lesson in trench warfare being dished out to the colonial troops by our ancestor, Kawiti. Seeing that we have long since given up the gun, the Crown’s behaviour this time is unlikely to prompt that kind of drama. 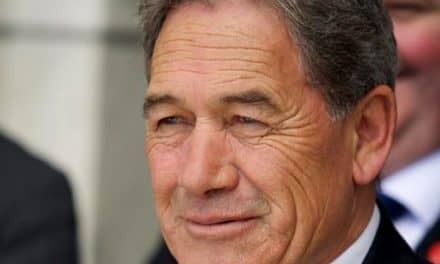 But we can still promise the Crown a bloodied nose – and we can also promise that, if it sticks to its course with Tuhoronuku, it will be saddled with the unenviable reputation of brokering a settlement that will be voted down by the Ngapuhi majority it refuses to see. Is there a way to avoid calamity? Yes, there is. It’s simply a matter of the Ngapuhi hapu having their say in the settlement process from start to finish. It’s the hapu upon whom the original injustices were perpetrated. So how come they’re being sidelined? It may be that the Crown sees some short-term convenience in dealing just with Tuhoronuku. No doubt the minister and his officials also sense that there could be electoral brownie points in soon being able to flaunt another major “full and final” Treaty settlement. But Tuhoronuku is a flawed structure. It doesn’t have the capacity to represent those it claims to represent. So it needs to be replaced by an entity with that capacity. It’s not as if the hapu of Ngapuhi are seeking any special favours. They are asking for no more than the Crown has offered other claimants around the country – a settlement based on the local experience and the losses they endured. If that approach has served other parts of the North, and Ngati Kahungunu as well right now, why shouldn’t that be on offer to the hapu of Ngapuhi? If an iwi half the size of a confederation of Ngapuhi hapu is offered five separate negotiated settlements, why should we accept that the Crown’s offer is as good or as intelligent as it gets. The minister can right some of the injustices of the past without prompting a raft of new ones by foisting on us his ugly proposal. All he needs to do, if he wants a peaceful resolution, is find the courage to do the right thing. Its our understanding that the “crown” is a registered US corporation on dunn and bradstreet under the trading name the queen in right of new zealand with its registered address as the debt office c/- wellington all govt departments are also registered companies including the companies office therefore all entities and its assets become stock of the corporate queen of right of NZ. Our hapu does not recognise the crown in its corporate form only our equitable partner HM QEII as per Te Tiriti and the DOI. It will be interesting to note that we are approaching the smitah when this occurs (within 4 months) all assets and cash will be wiped and these regitered entities will become bankrupt. The supreme law on this land is tikanga enacted within each hapu. legal acts and statutes are not laws as this govt cannot create laws for tangata whenua only for themselves – the real parliament is at waitangi who have already voted against the claim process as a kaumatua said in his korero why claim when its already ours.It will be interesting to view and made public the terms and conditions that the charitable entity has signed up too. Because “Why not” is the question you’re going to have to answer if you bother taking it to the High Court, and you better have a good answer. If Ngati Hine are so opposed to Tuhoronuku, and Ngati Hine number 40,000 as you claim. Why didn’t Ngati Hine simply vote against the mandate at stage one, rather than draw it out to this point – and threaten flagpole burning, town sacking and trench warfare? Only 1600 Ngapuhi in total, including Ngati Hine voted against Tuhoronuku. Ngati Hine alone could’ve stopped it if they wanted to. But they didn’t? Why not? Can you explain why the Tūhoronuku structure doesn’t have the capacity to represent Ngāpuhi in detail? As I understand two thirds of the seats are for hapū representation and those are organised regionally? What exactly is the problem with it? I will speak in the main for those who have been appointed from within Ngati Hine, but I know it is also true of more than half the others. The hapu kaikorero were basically self appointed. There was one nominee and a nominator – and they just walked into their position on Tuhoronuku. In the case of the three from Ngati Hine they did so against the vociferous opposition of the hapu they stood for. The process for removing them is designed to draw hapu into the process by default. Ngati Hine has never wanted to be drawn in, and must stand by and watch their sovereignty usurped by a Crown-backed mandate. 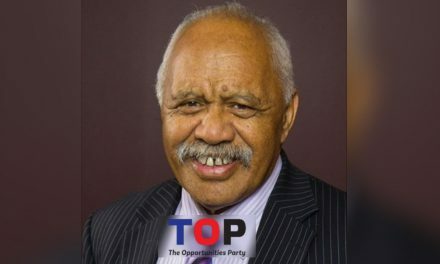 For starters more than two thirds of the hapu Tuhoronuku advertises in its second round of elections are clearly are hapu who do not want to be part of the process. Of those already in I know for a fact that the Ngati Hine kaikorero basically nominated themselves regardless of the sound and vociferous condemnation of the hapu they claim to represent. It is the case for as much as half of those that are in Tuhoronuku. A kaikorero is nominated by one person but it takes 90 to remove them. It is representation by stealth. That is the problem with Tuhoronuku and its mandate. Good thorough and thoughtful article thanks.